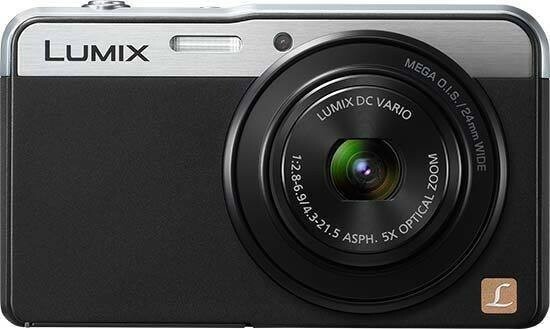 The Panasonic Lumix DMC-XS3 is a really nice little camera to use. It's neat, convenient, pocketable and super fast. It switches on, focuses downloads pictures and switches back off at lightning speed. It looks lovely and will certainly be a camera you won't be ashamed to be sat behind at family gatherings, holidays or nights out. The resolution is too high for the sensor and because of that noise is overwhelming. We found noise even at ISO 100 which is pretty much unheard of these days. It's as if the noise reduction system isn't even fitted to the camera. Overlooking the noise issue for a moment, colours are nice and while metering isn't the best, it does ok for the price of the Panasonic Lumix DMC-XS3. The dynamic range isn't the widest, but there's a dynamic range boost mode in the Creative menu. On top of the focusing being quite so fast, the pictures are also very sharp. They do benefit in sharpening – most JPEGs do – but if you don't add sharpening, you'll still be happy with how sharp they are. It seems that for the money, Panasonic have tried to add some high spec technology into the XS3 to make it more appealing to the consumer. That will be where the super fast processor and focusing system has come from. These things cost money, though, and it's likely that some cuts have had to be made. We can only speculate that's why the image quality isn't what we'd expect. If Panasonic have used an inferior sensor, it would explain a lot. If you're currently on the look-out for a tiny, slim, good looking digital compact camera that's modestly priced, then you can do a lot worse than the Panasonic Lumix DMC-XS3. The noise performance images concern us, but we're photographers and look for that kind of thing. If you're looking at this camera, ask yourself if the issues we've raised are high on your list of priorities. After all, the pictures still look pretty good and that's not just down to our excellent photography.